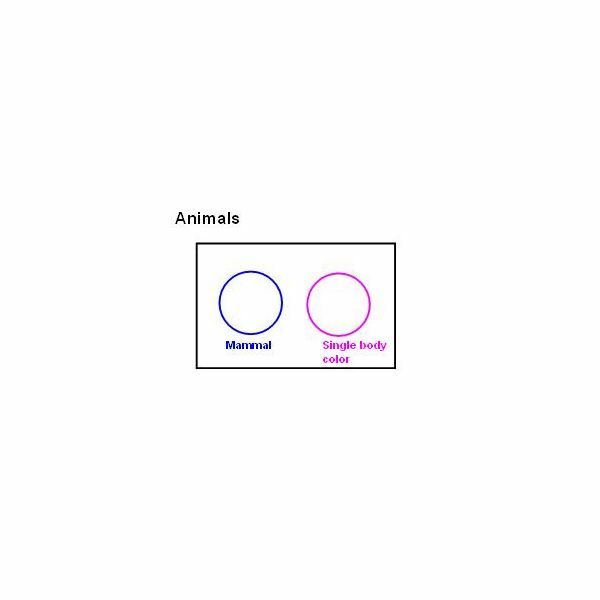 A Venn diagram is a century old technique but still very useful for graphically representing sets (or groups) of data. Using a Venn diagram may help students grasp math concepts. Go through this example with your students to help them grasp math concepts. 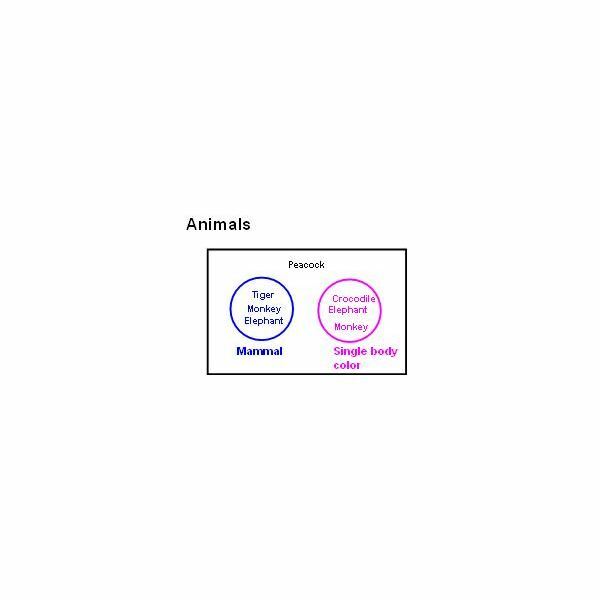 A Venn diagram is the graphical representation of different sets of data by means of a closed curve (normally circles). Individual closed curves (circles) of Venn diagrams represent the individual sets of data. The Intersection and union of the circles represent interrelations between the different sets of data. Let’s say we have to deal with the following lists of data: tiger, monkey, elephant, crocodile and peacock. 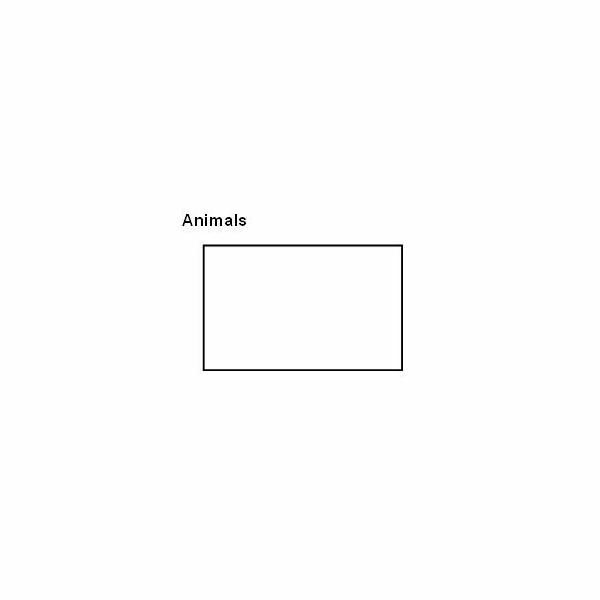 And all the data needs to be classified in two categories (or two sets) as: mammal animal and single body colored animal. The combined area of the sets (the area, where elephant & monkey are placed) is called the intersection of the sets and the total area of both the sets (the area, where tiger, elephant, monkey and crocodile are placed) is called the union of the sets. 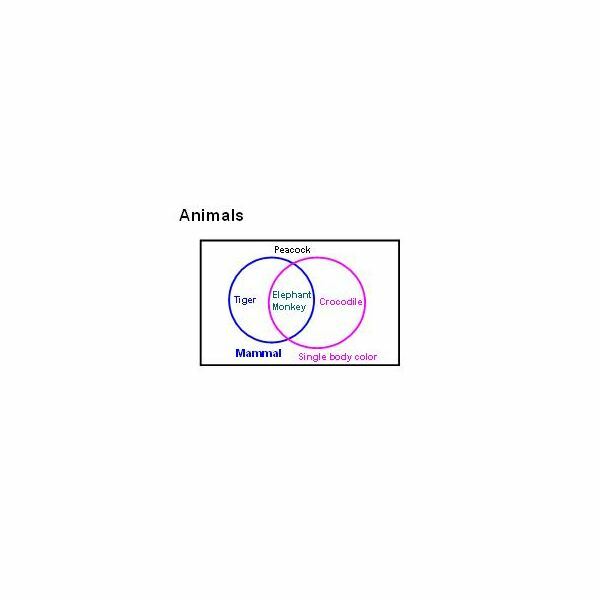 Explain the concept of Venn diagrams. Create a Venn diagram of ten students classified in two sets as: “students wearing black shoes" and “students having black pens". Give them similar problems for solving. Parabola or any other closed curves could also be used for Venn diagrams. Theoretically there are no restrictions on the maximum number curves.